The table of contents below reflects available, free small business federal government contracting materials at this site. 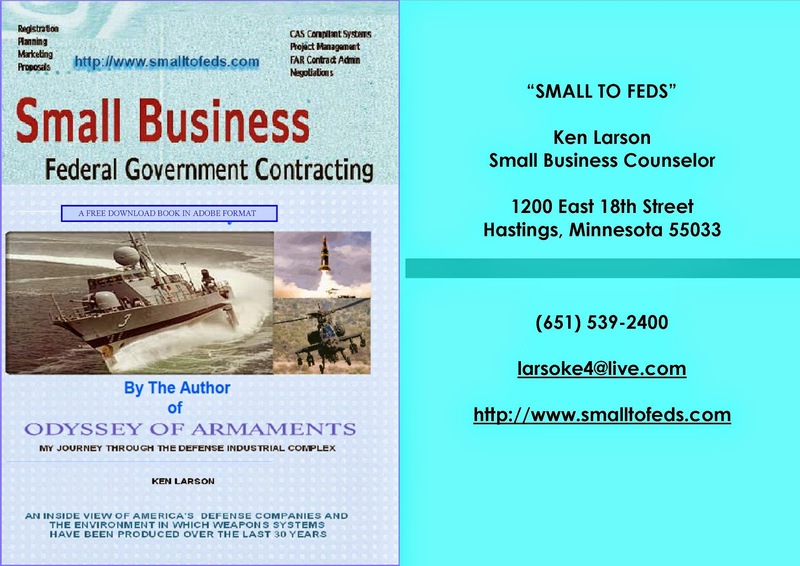 You may download the book, Small Business Federal Government Contracting and its supplement, as well as the other titles listed above from the "Box" in the right margin of this site. 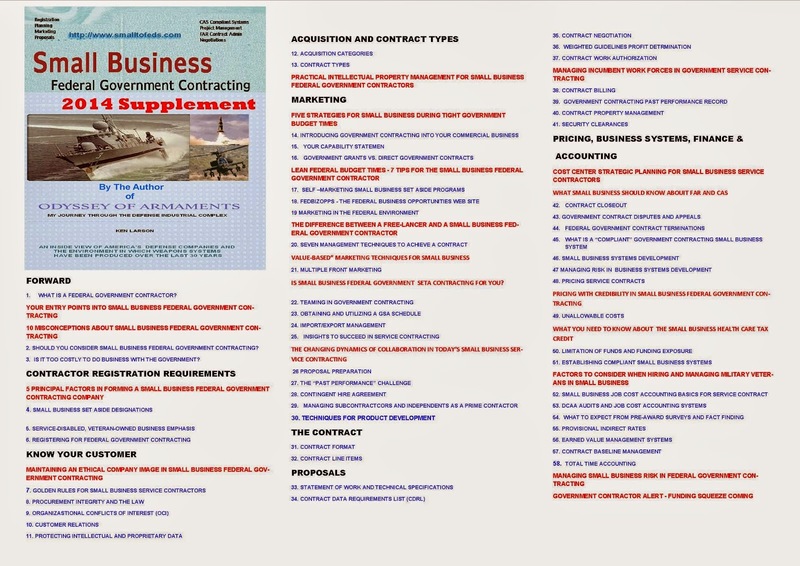 Blue topics below are the basic small business book and red topics are contained in the Supplement. "Box" has a preview feature. Use the links beneath the table to access more recent articles here since the publication of the book and the supplement. You may also benefit from the free "Reference Materials" in the "Box". 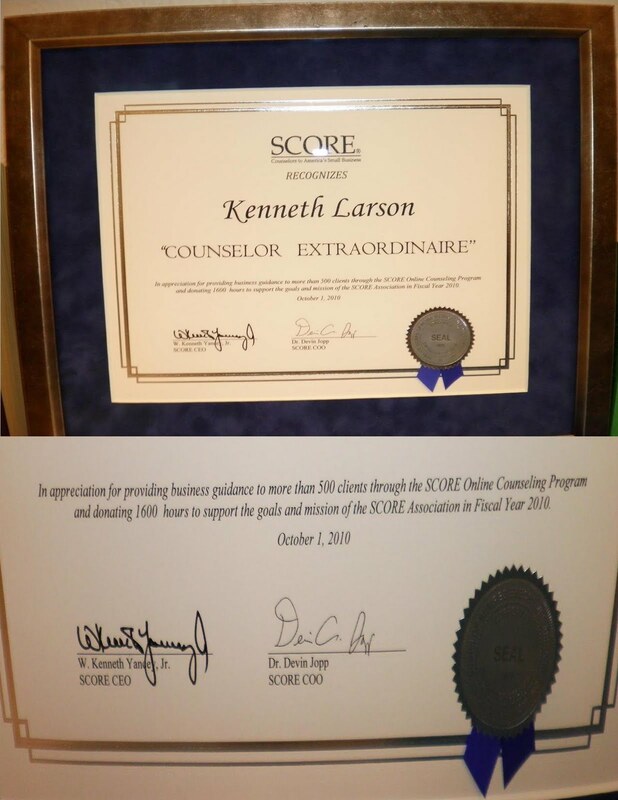 Contract agreements, incorporation instructions for all the US states, guidance on marketing and business planning are all included. 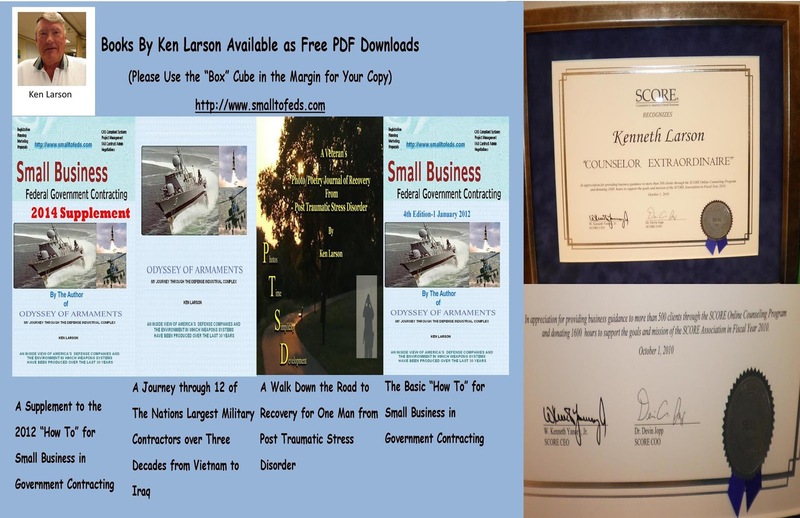 From Post Traumatic Stress Disorder "
"Odyssey of Armaments" My Journey Through the Defense Industrial Complex"